BROOKLYN, N.Y., Jan. 3, 2017 /PRNewswire/ -- Being in the driver's seat is more stressful than ever. Everyone from drivers to law enforcement professionals are more conscious than ever of the litigious world we live in – where it is often one person's word against another's – and what seems obvious is often not what it appears to be. While law enforcement will undoubtedly benefit from the close to $300 million being spent to equip them with bodycams, drivers are quickly realizing, and consequently desperately searching for a way to protect "their side of the story" from false or misleading accusations regarding anything from accidents to traffic violations. The best and most effective way to do that is by using a personal DashCam that records events as they unfold. DashCam videos and still images can show an entirely different – and factual – scenario than another person's version of the story. The entire line-up of the Car & Driver DashCam's will be on display at the Consumer Electronics Show booth No. 17317 in Las Vegas, NV in early January. "Federal and local governments understand the value of video evidence and are spending close to $300 million to equip law-enforcement professionals with cloud connected bodycams," observed Steven Shamula Car and Driver's Automotive Accessories President. "Now, more than ever, American motorists need a way to help them capture and convey their side of the story. Especially as their footage will come literally "from the driver's seat." These three new Car and Driver DashCam models do exactly that–and more. Even with their robust feature-sets, including Wi-Fi connectivity, six element glass optics with an ultra-wide 1560 field of coverage, a free CloudCover app which provides seamless control of all features and functions, the brands' flagship unit the MinioPro™ will retail for under $250." And that's where Car and Driver plays a vital role in protecting drivers. The company has added an additional three models to its growing DashCam offerings just in time for CES 2017. Two are ultra-slim versions, the other models include built-in Wi-Fi. All feature 1080p HD resolution, expandable SD card memory up to 32GB with an 8GB card included, 30 fps recording, media shortcut keys, loop recording, and time stamp capability. Dashcam scenario: The police officer said you ran a red light. Your DashCam video says otherwise. The ultra-slim CDC-620 comes well equipped with motion and accident detection, a 2.7" TFT LCD screen, and built-in microphone that captures any in-vehicle conversations or sounds. Media-shortcut keys allow drivers to manage settings and view their recordings. In addition to recording in full-color, true 1080p high definition, its 156° viewing captures more than the eye can see. 30-frames-per-second shooting capability virtually guarantees nothing will be missed. The unit also features loop recording so everything gets recorded and time-stamp data to provide accurate information. 12MP photo resolution assures detailed still images. A USB port is included. Dashcam scenario: The other driver said you cut him off just before he drove into the back of your car. It's time to check the video and see what really happened. This slightly smaller version comes with motion detection, night vision, and a 2.4" TFT LCD screen. It offers four photo resolutions for still images: 5MP, 3MP, 2MP, and 1MP. Dashcam scenario: The other driver said you threatened her. Your DashCam captured her storming out of her car, screaming at you, and making menacing motions. This 2.4" 1080p HD DashCam is a security and hands-free entertainment hub with Wi-Fi, GPS, 3-axis G sensor, and SIM card support. It easily mounts to an existing rear-view mirror. It features a wide 170° viewing angle. 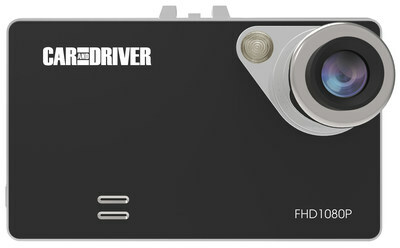 These new Car and Driver DashCam models are available now online and in-store retail locations, including BrandsMart USA, The Open Box, Amazon.com, Walmart, Kmart, and Cameta Camera. MSRPs are as follows: CDC-618: $69.99; CDC-620: $129.99; and CDC-622: $229.99. Car and Driver has developed a line of DashCams and mobile accessories engineered for the general public to document their drive. Special features include: CloudCover – an exclusive Wi-Fi app that connects a Smartphone to the camera, giving an enhanced, but easier level of control, over the device; SteerClear Technology – integrates optics and image capture while optimizing the quality of the HD image; Intelligent DMV (Detects Motion of Vehicle) – automatically records either a still, 5 or 10-second clip, or full video when it detects movement. For more information on the Car & Driver dashcams and automotive accessories please visit: www.summitcegroup.com. © 2016 Car and Driver. All rights reserved.